The Teviot Smokery and Water Gardens is a family run business located on the banks of the River Teviot in an 18th Century Coaching Inn. 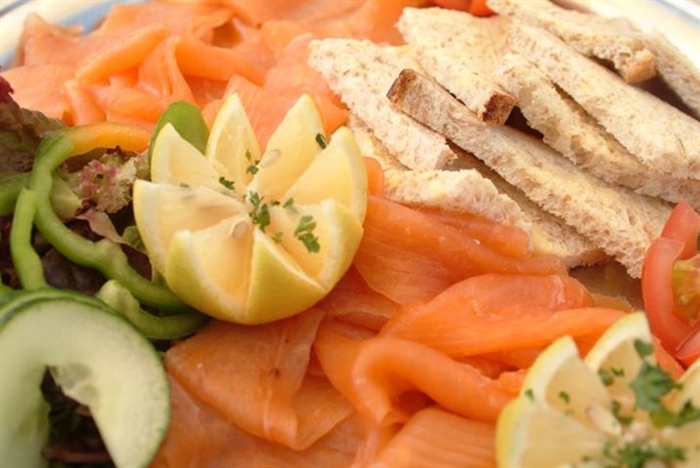 At the Teviot Smokery we offer a selection of specialist fine foods. 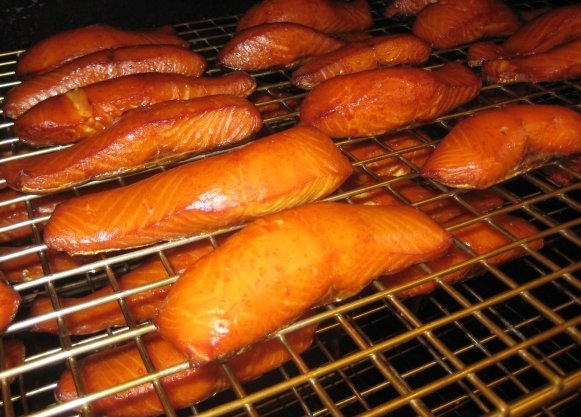 As well as our own Smoked Salmon, Trout, Chicken etc. We use traditional smoking methods to enhance the natural flavour of the finest fare. We brine fresh local produce and smoke it slowly over a bed of oak chips. Lovers of quality food will value our dedication and delight at the range of smoked fare and complimentary products available from our Smokery Shop and Conservatory Restaurant. We have regular food tastings. If you have shopping on your mind, come and browse our extensive Gift Hall which has something for everyone. If it's tranquillity you are looking for then you can do no better than visit our Water Gardens. Enjoy a stroll along the Riverside Walk .Wander round our Aquatic/Garden Centre with its extensive range of plants, equipment and fish or just sit on the balcony overlooking the River Teviot and enjoy the scenery, with amazing river and countryside views. Visit our Conservatory Restaurant where you can sample our home baked cakes and scones or enjoy a full lunch. Dogs welcome in our outside seating area, however not in our shop or gardens.